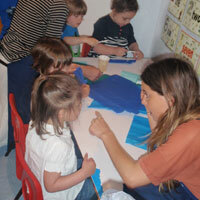 Artyface spent 2 days working with children in two nurseries in the SW1 Area on the theme of 'secrets of SW1'. 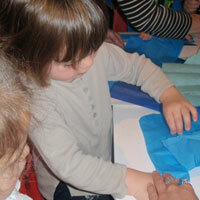 We used collage and mono-printing with them which they found fun, colourful and exciting. 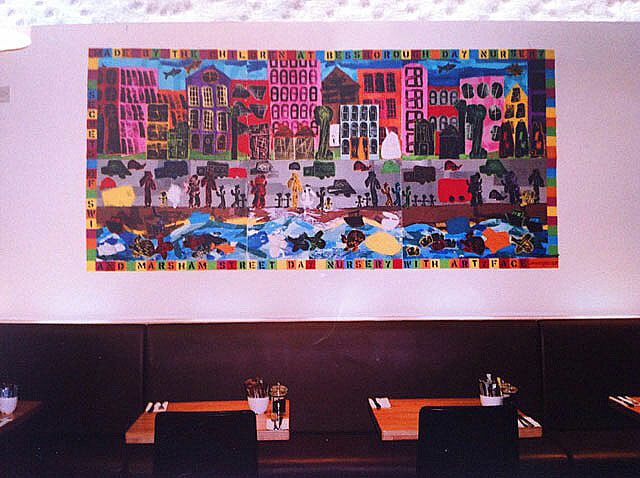 The finished artwork was hung as part of a joint exhibition at House of Fraser and then went back on permanent display at the nurseries. 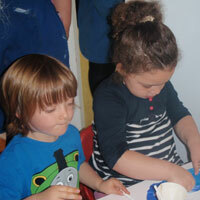 "I thought the work shop was brilliant, very colourful and the children loved it. I do remember some of the children wanting to do it again after they had there turn, so they really enjoyed it."